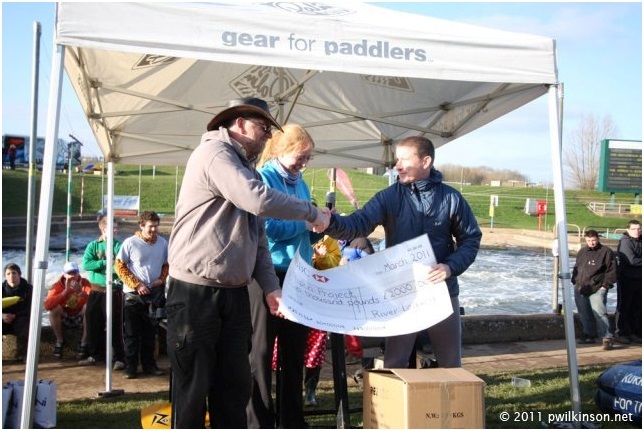 In 2011 River Legacy made a £2000 donation towards a superb project on the River Ure near Ripon in North Yorkshire. Below is the introduction to the project, from the BCU Yorkshire Region. When we read about the benefits and opportunities that this project would bring we realised that it would be something very much worthwhile supporting. “For some time, without a guaranteed egress point in the Ripon area, trips from upstream of Ripon have been potentially difficult, albeit the stretch has previously been paddled regularly for very many years. The last guaranteed egress point above Ripon has for some time been at Slenningford 5 miles away. The long term aim of this purchase is to open up several miles of ‘lost’ river. There will be a guaranteed egress point for trips downstream into Ripon, as well as access for trips down past Newby Hall to Boroughbridge, Aldwark, Linton on Ouse, York and the Humber. Whilst improving access for canoeists, we have no wish to fall out with the local anglers and we hope they will understand the need for our two sports to coexist in an amicable way. The trip down from Sleningford to Ripon contains some of the most stunning scenery in Yorkshire. After the rapids of Slenningford the river calms down, but has moving water andseveral minor rapids almost all the way down to Ripon, making it a great intermediate trip. At normal levels, the section below Ripon is probably best suited for open canoe touring and novice river trips.